Trustworthy Scriptures or Contradictory Myth? “There is no such thing as absolute truth!” is the battle cry against the Bible’s authority. N OUR POSTMODERN society, truth has become relative and everything is to be questioned. If it does not make sense to us or fit within our worldview, it should not be considered authoritative or even applicable for our lives. Things once taken at face value, like the Bible, are now questioned and marginalized. The battle cry against the Bible’s authority and relevance is, “There is no such thing as absolute truth!” The implication is we must decide which “truth” we will allow to be authoritative and which “truth” we will ignore. Let’s examine the validity of the statement for a moment. If there is no such thing as absolute truth, then this statement is an absolute truth about the absence of absolute truth. But if that is true, then the statement proves itself false and, thus, there is absolute truth. It is enough to make your head dizzy! The problem for those who want to pick and choose their truth is, as Jesus declared, that truth is found in Him and all truth originates in Him regardless of where it is found (John 14:6; 18:37). In this age of questioning truth, some have examined the Bible and found what they assert are contradictions. Internet and library searches reveal that many have made this their life’s work and claim to have found as many as 143 contradictions (the most popular number is 101). Obviously, it would take more space than this article allows to answer each one (though it can be done). All of these can be addressed through a proper examination of what the Bible teaches about itself directly and indirectly. Therefore, let us take a look at the principles that address the critics’ supposed contradictions. As a young Christian, I never really thought about how the Bible I read came to me. I assumed the New Testament writers sat around a campfire one evening and decided who was going to write what. Actually, it was a little more involved than that. The early church grew quickly and was fairly widespread geographically because of evangelistic efforts by Jesus’ followers and persecution from the Roman Empire and Jewish leaders. Consequently, congregations needed to know about the foundation of their faith (the Gospels) and usually had questions or needed instruction (the Epistles). Most of the biblical books addressed a particular audience and situation, though all of them have relevance for us today. 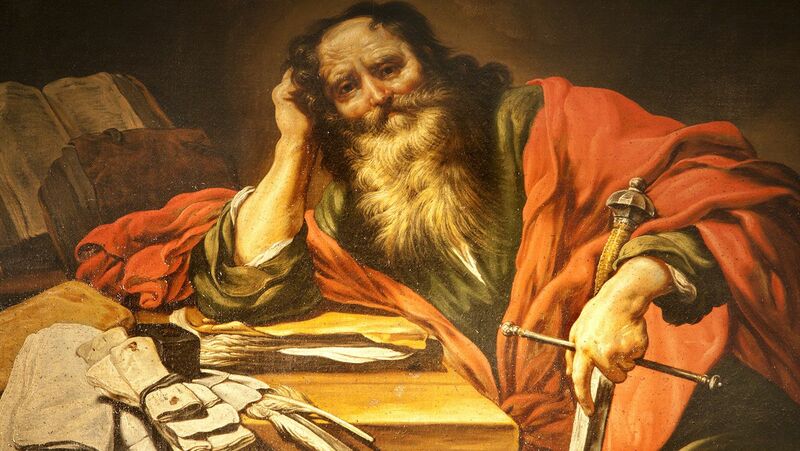 As with most movements, books were written and falsely attributed to apostles or key people in the New Testament. The Church fairly quickly discerned the truth from the false writings, and the New Testament was solidified long before the Church officially endorsed the books we now have (late fourth century AD; the Old Testament was endorsed in the first century AD by Jewish leaders). Truth has a way of rising above the clutter of false information. As biblical books were passed among the Christian communities, copies were made. Eventually, “copy centers” were set up to make the Scriptures available to a wider audience. Manuscripts were often copies of copies. Some were copied by several individuals (scribes) as someone read the base copy aloud. At times, words were misspelled, heard incorrectly, or written incorrectly. This is why the Church of God Declaration of Faith says, “We believe in the verbal inspiration of the Bible.” The original writers received the Word from God without error. It should be stressed, however, that the Bibles we have are extremely accurate, as textual criticism and the Dead Sea Scrolls attest. Nothing addressing key doctrines is in question. A closely related principle to remember is that the Bible was originally written in Hebrew, Aramaic, and Greek. What we have is, obviously, a translation. Anyone who has taken a foreign language knows there can be great difficulty in communicating exactly what the source language says into the readers’ language. This is especially true when translating an ancient language into a contemporary one. Hebrew has approximately 1,200 root words, some of which carry upwards of six (or more) different meanings that are determined by context. Modern English has over 2 million words. Finally in this category, we need to keep in mind that the revelation of God was progressive. As humanity was able to understand and comprehend the truth they received, God revealed more to us. We know infinitely more about God and the plan He has for us than the early Jews did. Many parts of the Old Testament are easier to understand in light of New Testament illumination. Some of the supposed contradictions are nullified when the context of the verses is considered. Critics point to two (or more) passages with what seems like contrary advice, until one considers the passages address very different situations. The original writers received the Word from God without error. For example, many critics point to the biblical passages indicating that women are prophetesses (Philip’s daughters and Huldah) and teachers/preachers (Phoebe and Priscilla), yet Paul advises women to be silent (1 Cor. 14:34). Paul’s language is very specific: this is an action for the present situation, not a commandment for all times. The context reveals the admonition is not contradictory, but contextual. The Bible also contains intentional tension. For example, Proverbs 26:4 says, “Do not answer a fool according to his folly, or you will also be like him” (NASU). Yet, the next verse says, “Answer a fool as his folly deserves, lest he be wise in his own eyes” (NASU). Certainly, the writer would have recognized the disparity; however, he intentionally juxtaposed these verses to create tension for the reader. This tension (and the passages that are intentionally ambiguous) makes us dig deeper to discern what the Lord is speaking to us. Here, Solomon is letting us know that we have to be able to discern when to walk away from a foolish assertion and when it must be corrected with the truth. It is a conundrum, not a contradiction. Closely related is the critic’s neglect to consider the writers’ intentions or focus. The supposed contradictions in the Gospels are usually answered when the reader considers what the writer was trying to emphasize. The story of the demoniac(s) of Gadara illustrates this well. Matthew records the story without much detail, noting there were two individuals delivered from demonic possession (8:28-34). However, Mark 5:1-20 and Luke 8:26-39 record one demoniac and go into greater detail than Matthew. A contradiction? No. Matthew presents Jesus teaching the Sermon on the Mount (chs. 5-7), then he highlights nine miracles in the next two chapters (8-9). His focus is not on detailing the miraculous events, but to show that the Word produces supernatural power. Mark and Luke, however, go into greater detail to show Jesus’ interaction with the despised and disenfranchised, and highlight only one of the two demoniacs. The writers focused on the things that were important for their audiences or intent. All of the above principles are important and help us answer the Bible’s critics. For followers of Jesus, the final principle is of utmost importance—Jesus’ view of the Bible. A reading of the Gospels reveals that Jesus knew the Scriptures well. He accepted them as divinely inspired (Mark 12:36), authoritative (Matt. 19:4; Mark 14:27), essential for life (Matt. 4:4), and to be obeyed (Mark 7:11-13). The Word of God cannot be altered by public opinion or assaults by the enemy (John 10:34-35; see Isa. 40:8). Jesus accepted the Old Testament canon in its entirety (Luke 24:27)—including the Law (Matt. 8:4), the Prophets (Luke 22:37) and the Wisdom Writings (Luke 24:44)— as historically accurate and the foundation of our faith (Matt. 12:3-8; 22:29, 32; Mark 12:26; Luke 11:30-32; 17:26-30; John 3:14; 8:56). He trusted the Scriptures. The Bible is not an ordinary book. It is unique. It is not a book of facts and statements (though it contains such). It is God’s guide for our lives. It is alive and speaks to our present situations, as well as the historical context for which it was originally written. As we dig in and study, the Holy Spirit directs and confirms us. He will also assure us of the Scriptures’ veracity and validity for our lives. We can rest assured that as God’s Word has endured over the centuries, it will withstand the critics’ attacks and guide us to wisdom and life. R. Keith Whitt is coeditor of the Pathway Press book, Issues in Contemporary Pentecostalism.